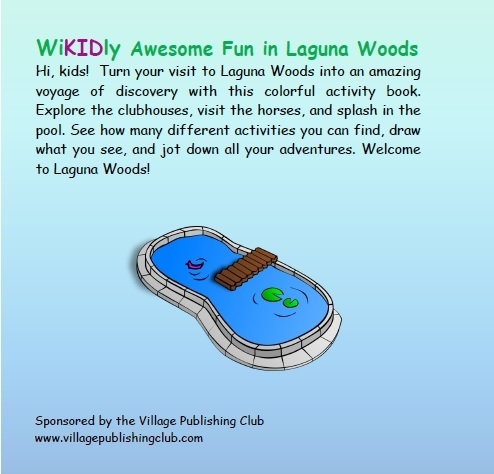 WiKIDly Awesome Fun in Laguna Woods is an activity book for kids, perfect for when the (great) grand kids come to stay. 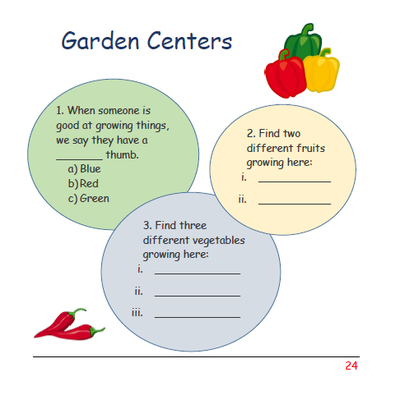 Put down the computers and smartphones, and let them explore. 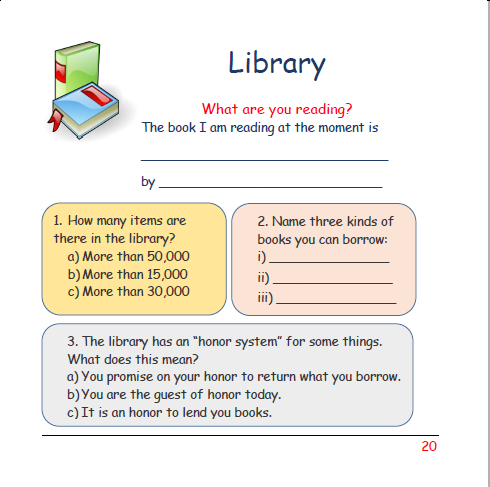 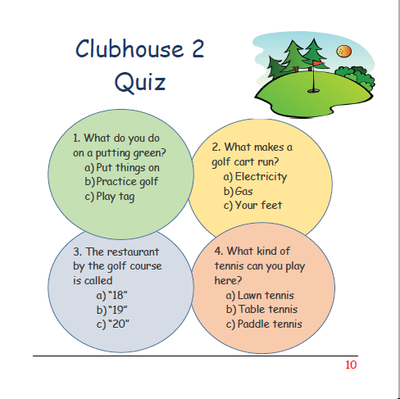 There are multiple-choice quizzes, clubhouse challenges to fire the imagination, and space to draw what they see. 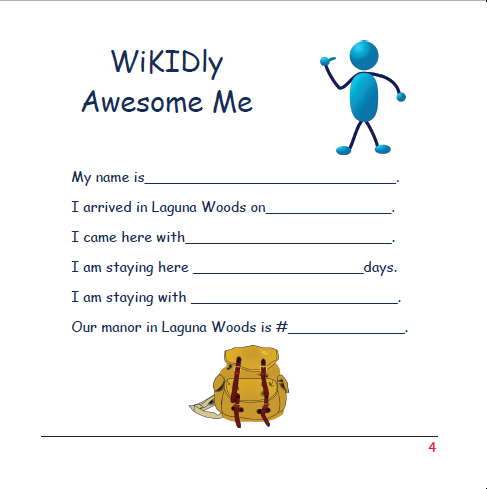 Jotting down their adventures will bring out their artistic side as they create their own Laguna Woods story. 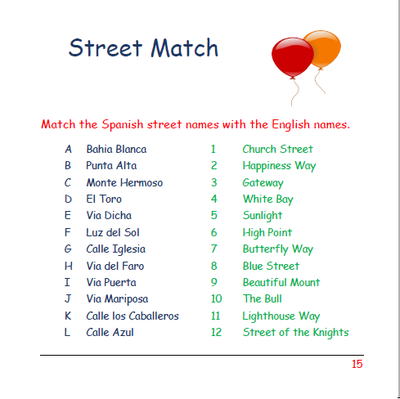 It is equally handy for (great) grandparents – try out the quizzes, and see how much you know about the neighborhood. 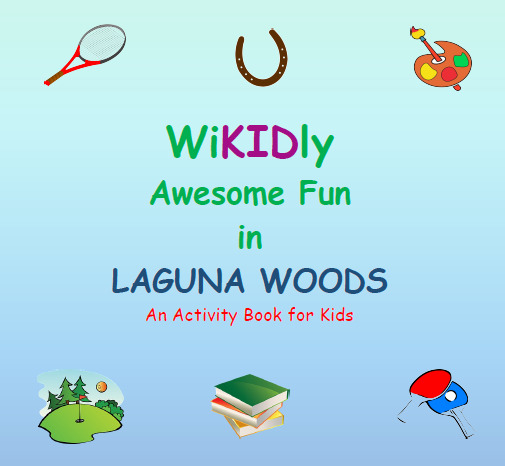 The proceeds from this book go to the Foundation of Laguna Woods Village. Hover your mouse over each picture to see its caption. Click on the image to enlarge it. 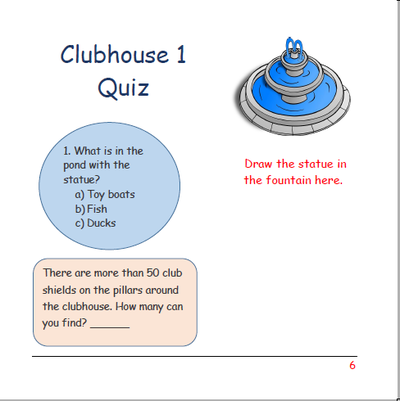 Explore Clubhouse One and take the quiz. 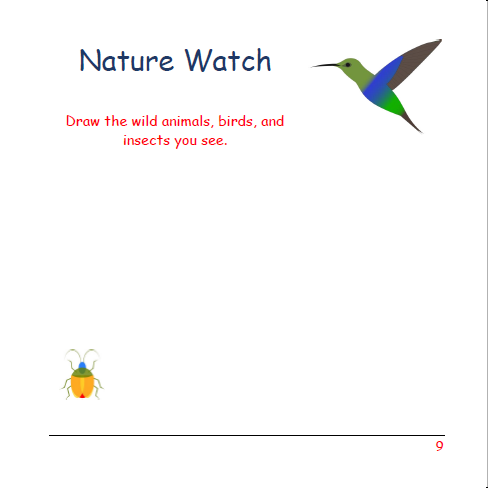 There's lots going on down by the creek. Find the right street name in this fun quiz. Keep an eye out for wildlife. 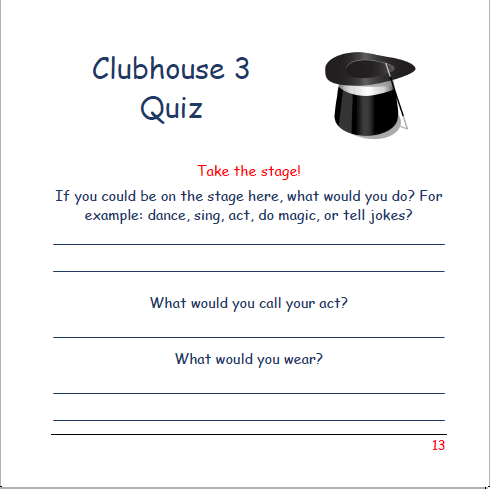 We invite you to take the stage! 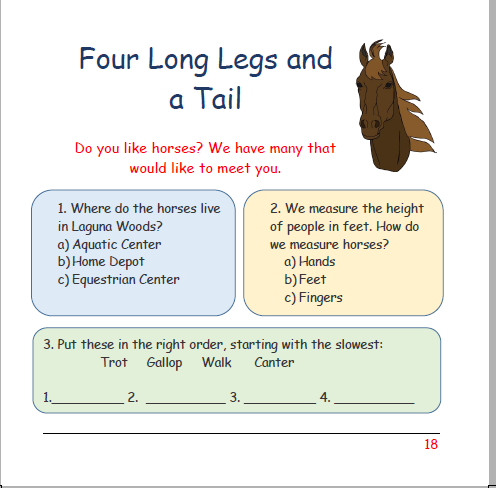 We have a lot of horses to see! 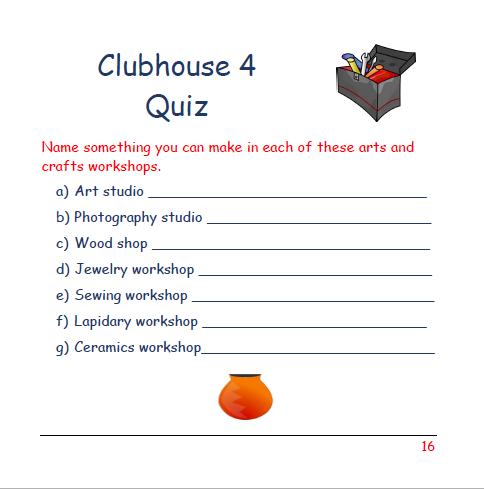 Visit the workshops in Clubhouse 4. 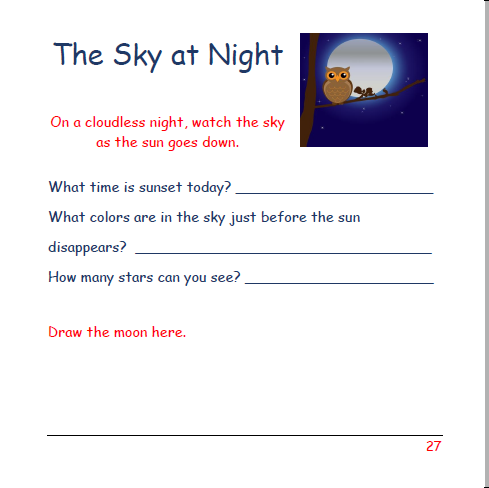 Count the stars and draw the moon.